In less than a year, Washington state’s Democrats and Republicans will both — for the first time — cast their ballots in a meaningful presidential primary. The state Democratic Party on Sunday voted to use a primary election to allocate Washington’s presidential delegates. The Republicans, who also used a primary in 2016, had previously committed to doing so again in 2020. But for the state Democratic Party, which has always used caucuses to choose delegates, 2020 will be a first. Instead of cramming into a local gymnasium or community center and arguing for candidates at a caucus with other party loyalists, Washington will choose presidential nominees the same way we decide every other election — by mail-in ballots. As in previous years, the names of presidential candidates will be on the ballot. After the primary, the state Democratic Party will still hold much-smaller caucuses, for the purposes of choosing the individuals who will attend the 2020 Democratic National Convention in Milwaukee as delegates. The 184-member state Democratic Central Committee voted 121-40 to switch to the primary model at a party meeting in Pasco on Sunday. 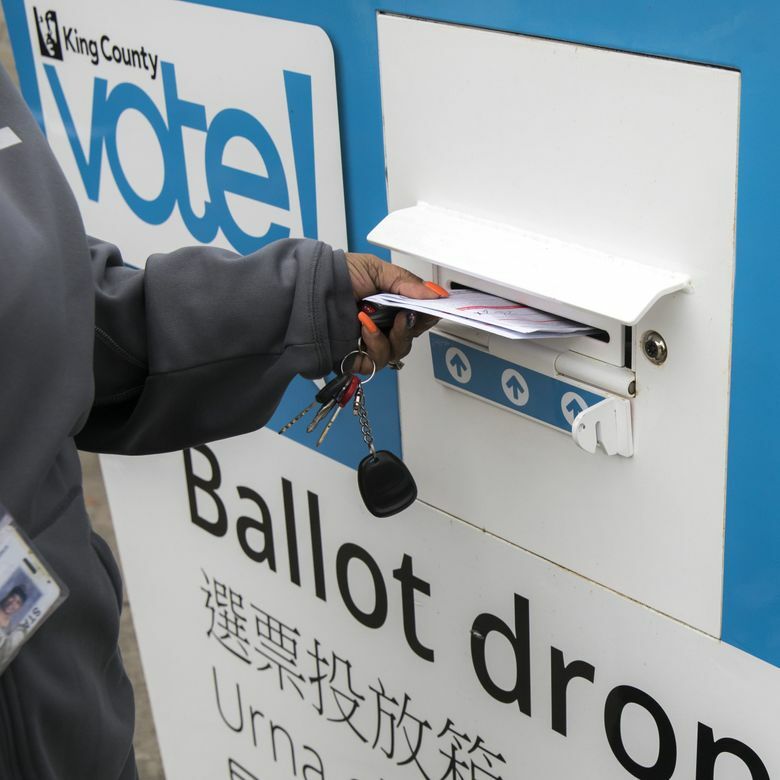 The switch follows legislation recently passed in Olympia that moved the state’s primary date up more than two months, from late May to early March, and also changed some of the procedures to better comply with Democratic and Republican National Committee rules. The hope is that, by voting earlier, Washington can become more relevant in the nominating process. Voters in both parties’ primaries will be required to declare their party affiliation when they vote. That declaration will be public information. The primary election is scheduled for March 10, 2020, just a month after New Hampshire’s first-in-the-nation primary. While the exact dates for many states’ primaries and caucuses are still in flux, Washington would be somewhere around the 15th state to vote, likely joining six or so other states on the second Tuesday in March. Washington Secretary of State Kim Wyman could still change the primary date to coordinate with other western states to make a regional primary. The state party said it received nearly 13,000 comments ahead of its choice between a primary and a caucus, with more than 90 percent in favor of the primary. Caucuses can take hours and have traditionally required in-person participation. Those in favor of a caucus argued that the more active, participatory format can help bring new people into the party. Traditionally, both parties in Washington have used caucuses to determine how presidential delegates are selected and divvied up between presidential candidates. In 1989, a ballot measure created the state’s presidential primary, which was first conducted in 1992. But just because the people voted for a primary didn’t mean the parties had to use it. In both 2004 and 2012, the Legislature canceled the presidential primary and both parties used caucuses. Democrats continued to use caucuses to choose their candidate, while Republicans, until 2016, usually used both — awarding some delegates through the caucuses and some through the primary. In 2016, Republicans switched entirely to the primary. But the 2016 primaries, which cost nearly $9 million to conduct, were futile affairs. On the Republican side, Donald Trump won the May primary, but his last rival had already dropped out of the race three weeks earlier. On the Democratic side, Hillary Clinton won the state primary, but not until two months after the party had already held caucuses. Those caucuses (with about 220,000 participants), not the primary (with more than 800,000 voters), were used to award delegates. Clinton lost the caucuses, which counted, and won the primary, which was essentially ceremonial, and didn’t.